The more sugar in a cocktail, the bigger the foaming response so adjust quantity of InstaFoam accordingly. Just one drop may be sufficient. Pungent. Reminiscent of a recently worn plimsolls – rubber, smelly feet and caramel. Intense and unpleasant, but this product sold for its foaming properties and not its taste. Indeed, you should not taste Instafoam neat as it will ruin your taste for up to an hour. 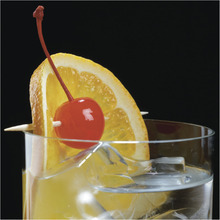 With only 2 to 4 drops required per cocktail, the impact on the flavour of a drink is negligible, but depending on the cocktail, noticeable. Adding a few drops to a representative amount of water does adversely affect the taste. We made two vodka sours, one with pasteurised egg white and one with 3 drops of InstaFoam. Neither cocktail was dry shaken. The head produced by the InstaFoam was impressive with a thick layer of white foam, whiter and thicker and with smaller bubbles than the egg white. However, the flavour and aroma of the InstaFoam drink was adversely affected by the foamer, but not to a huge degree and obviously this would not be so noticeable if whiskey of other more strongly flavoured base spirit was used – hence our choice of vodka for the test. 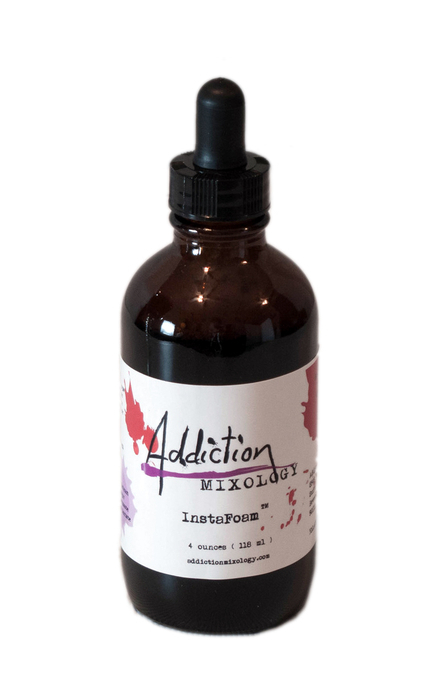 I would not use InstaFoam in a vodka sour, but I will be using InstaFoam to make foamy drinks for future photo shoots. I’d also advocate its use alongside pasteurised egg white in cocktails rather than as a replacement for egg white – 1 drop per drink to aid foaming while not noticeably impacting aroma of flavour. InstaFoam produces a foam that lasts on a cocktail for hours if left.